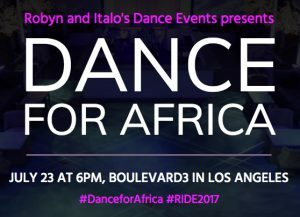 Dance for Africa is a one-of-a-kind charity event being held July 23rd at the Boulevard3 in Hollywood, California. This memorable evening will feature Karina along with an African-inspired dynamic dance show, and singer Trenyce Cobbins from the West Ends Thriller Live. It will support the African Wildlife Foundation, an organization focused on wildlife protection, land and habitat conservation, community empowerment, and economic development. 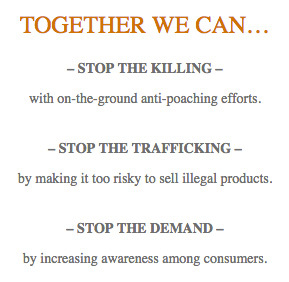 African Wildlife Foundation’s mission is to ensure wildlife and wild lands thrive in modern Africa. 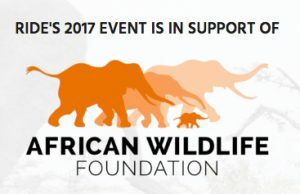 Authentic African cuisine will be served, and there will be a silent auction and raffle for two tickets for a two-week safari in Tanzania.